The critically acclaimed film The Big Short is a highly inventive tale of how six men predicted the collapse of the US housing market and actually made money off this economic disaster. 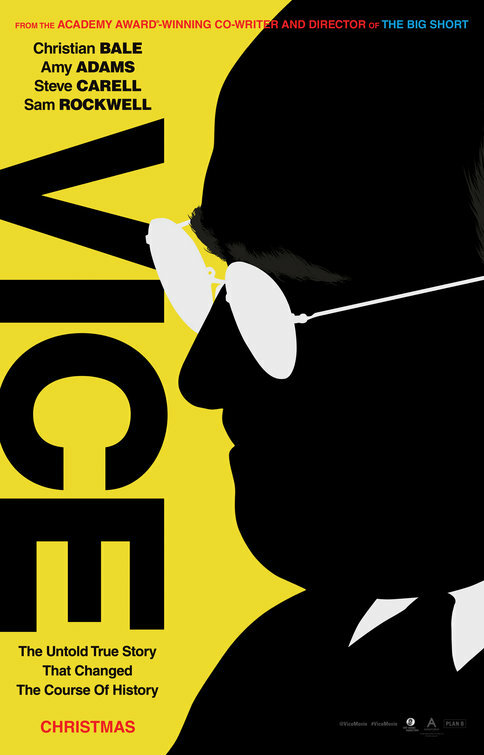 Christian Bale turns in a brilliant Oscar nominated performance as the socially awkward Dr Michael Burry, a neurologist suffering from Asperger’s Syndrome who gives up medicine to become a hedge fund manager in director Adam McKay’s frenetic financial diatribe The Big Short, about the collapse of the American housing market in 2007 and 2008, which precipitated the worst international financial crisis since the Great Depression back in 1929. Joining Bale in the cast are Oscar nominees Ryan Gosling (Half Nelson) as Wall Street trader Jared Vennett, Steve Carell (Foxcatcher) as hedge fund manager Mark Baum and Brad Pitt (Moneyball) as reclusive banker Ben Rickett. These four men together with two young eager investors Charlie Geller played by John Maguro (Carol) and Jamie Shipley played by Finn Wittrock all predict the imminent collapse of the US housing market due to the instability of unsecured sub-prime mortgages. Through a series of inter related events between 2005 and 2007, these guys develop a system of credit default swaps by betting against the housing market which like the Tech industry bubble, eventually burst in 2008 bringing down Lehman Brothers in September 2008, one of the world’s largest investment banks, and forcing the entire global economy into a devastating recession. What makes the entire dodgy financing worse is that the banks and the international rating agencies collude to actually validate the profiting of these credit default swaps, causing the Biggest Short in economic history which inevitably lead to no income and no jobs for millions of people worldwide. Financial films are never exciting unless the director makes the viewer totally engrossed in what they are watching. Fortunately Anchorman director Adam McKay through some inventive directing and skillful editing along with a fascinating script by Charles Randolph which makes The Big Short an utterly engrossing film. The Big Short is anchored down by four great performances by Pitt, Carell, Gosling and particularly Bale. 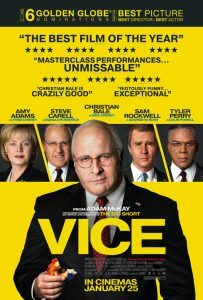 Christian Bale and Steve Carell are particularly good and while some of the narrative devices are quite ingenious like Jared Vennett directly addressing the audience or using celebrities like Margot Robbie and Selena Gomez to explain the financial fundamentals especially of synthetic collateralized debt obligations (CDOs), the latter of which ironically taking place at a Blackjack table in Las Vegas. 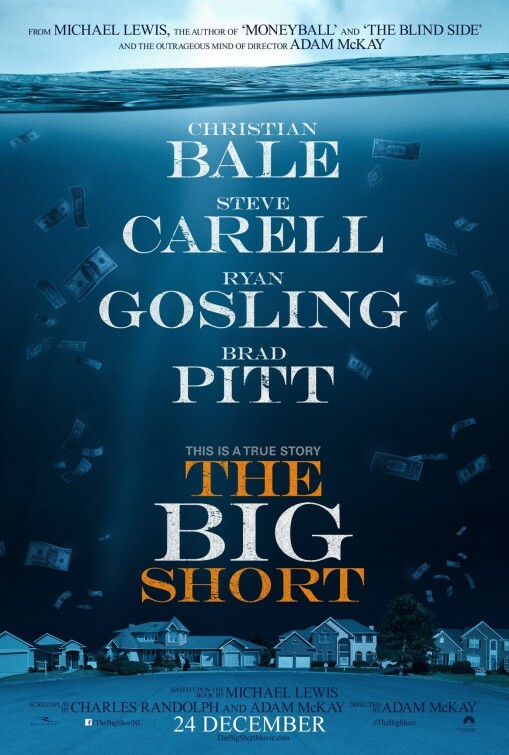 The Big Short is an engaging, masculine portrayal of greed and power running unabated and the most frightening part about the story is that it is all true. The effects of the 2008 global financial meltdown are still being felt around the world in 2016. Audiences should also look out for cameos by Melissa Leo and Marisa Tomei along with Rafe Spall (Life of Pi) and Hamish Linklater (Magic in the Moonlight). Unlike Scorsese’s The Wolf of Wall Street or Oliver Stone’s Wall Street, Adam McKay’s The Big Short does not glamourize greed but rather sheds light on how reckless and unchecked rampant capitalism has its pitfalls as the entire world was to find out in September 2008. The scary part is that, these real life characters portrayed in The Big Short made money off the eventual collapse of a national housing market and some of the larger Banks got away with dishing out unsecured loans to unsuspecting home buyers simply by restructuring the debt packages. 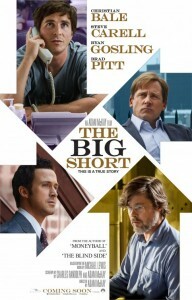 The Big Short is highly recommended viewing for those that enjoy financial films with edge, tenacity and an inventive style without resorting to profanity or decadence.